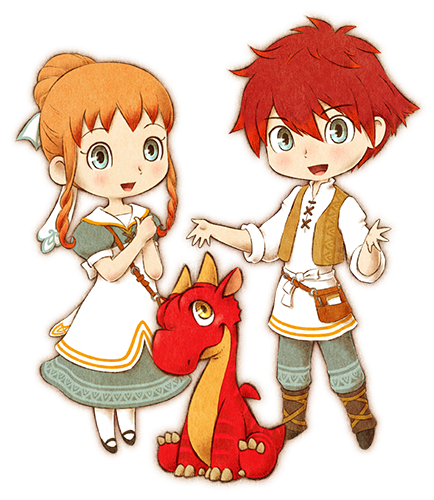 Little Dragons Café, the latest game from Harvest Moon creator, Yasuhiro Wada, follows the tale of two siblings trying to run a restaurant and, at the same time, raise a dragon to help save their mother’s life. In the game, players can fish, cook, learn recipes, help neighbors, grow their own produce, deal with quirky customers/employees, and take on parental duties. The game is scheduled to release August 24th for the PS4 & Switch. Currently, pre-orders are available at most retail stores for a standard edition, that will cost $59.99. For those who want a collectible version, one is now available for pre-order as well. 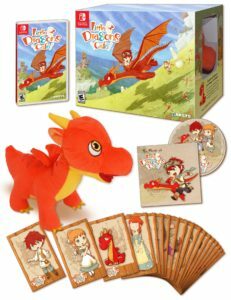 The limited edition will include a 9×7 dragon plushie, soundtrack, and 28 3×5 character cards. The contents will be housed in a nice-sized box, complete with illustrations and a peek-a-boo side area that lets you see the dragon plushie that’s within. The special collectible retails for $79.99 and is available at GameStop, Best Buy and Amazon. 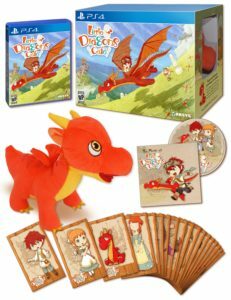 Find out more about the game on the official Little Dragons Café website. See the game in action in a first look trailer on the Aksys Games YouTube channel.